So many people suffer from chronic headaches, and most of them would confirm that lack of sleep is sometimes the main culprit. If you are a migraine sufferer, you may notice that you get an attack when you lose sleep. 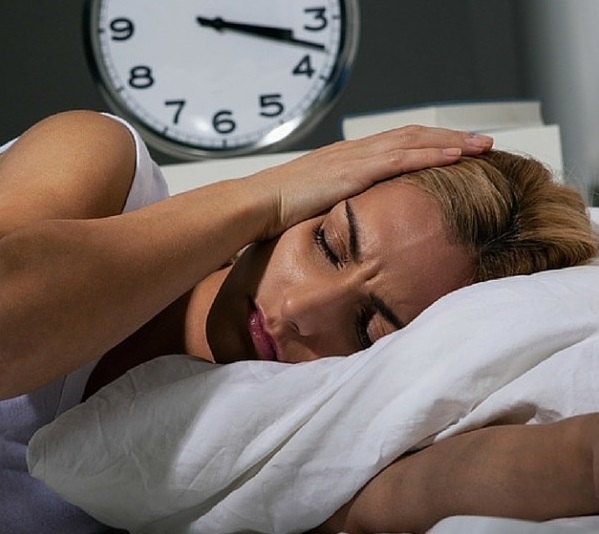 A migraine is a special type of headache that can be quite challenging to deal with, but you can certainly take some steps to improve your headache from lack of sleep. Let's find out what you can do about it. How Does Lack of Sleep Lead to Headache? Many experts are of the view that rapid eye movement (REM) sleep can trigger a migraine attack. Normally, you go through six sleep cycles and four stages of sleep, including REM sleep. Stage 3 and Stage 4 are the deepest stages of sleep, both of which are necessary for the production of neurotransmitters dopamine and serotonin. These neurotransmitters serve as the 'feel good' chemical messengers in your brain, which means that not getting enough sleep would limit the release of these neurotransmitters and that will affect how you feel during the day. Any instability of serotonin levels and a lowering of dopamine levels can result in a migraine attack, and it is usually more common just before awakening, as that is when REM sleep is quite powerful. Many people try to deal with this situation by taking antidepressants, such as the selective serotonin reuptake inhibitors (SSRIs), which actually work by stabilizing serotonin membranes. Besides migraines, you can also get other types of headache from lack of sleep. In fact, many studies have found that different patterns of sleep disturbance are responsible for certain headache disorders. Researchers have found a link between chronic paroxysmal hemicranias (one-sided headache) and the REM sleep cycle. The same sleep cycle may also have a link with the cyclical variation of cluster headache. You have cluster headaches when you experience pain in one side of your head and have other symptoms such as eye tearing and nasal stuffiness. These types of headaches affect you during the nighttime only. Many studies have also found that people who have cluster headaches or sleep apnea have experienced night terrors and bed-wetting during childhood. Patients who have sleep apnea usually develop cluster headaches because of an episodic decrease in oxygen while sleeping. Moreover, studies show that people with chronic cluster headaches usually have the attacks during the last two hours of sleep, when REM sleep is very powerful. If You Have Headaches, Can Sleeping More Help? You may have gathered the fact it is possible have a headache from lack of sleep, but you also need to bear in mind that too much sleep can also result in the same. This is mainly because the levels of serotonin and other neurotransmitters fluctuate during sleep, which in turn can trigger a headache. If you usually take 8 hours of sleep, but sleep for 10 hours on the weekend, you may notice your headache become worse. It is worth mentioning that some patients may actually notice some relief by getting more sleep. In fact, sleep works as a relieving and therapeutic agent for them. Others find napping quite helpful to manage their headache condition. However, napping is not a great idea for every person, as it can make it difficult to get enough sleep at night, which will make you wake up with a morning headache. It is therefore a good idea to work with your physician and follow a strict schedule – you should be reserving daytime for activity and nighttime for sleep only. Going to bed at the same time and getting up at the same time in the morning, even on the weekends, may help develop a pattern and keep headaches at bay. Create a relaxing environment and give yourself a chance to sleep early. Turn off all the lights in your room, do not watch TV close to bedtime, and stay away from your laptop when getting ready for bed. Pay attention to your diet and do not opt for any stimulants, such as caffeine. Never have any caffeinated beverage too close to bedtime. Maintain an active lifestyle throughout the day and exercise in the morning. Avoid exercising before you go to bed at night. Be sure to eat dinner more than three hours before bedtime. You may benefit from a snack high in carbs, such as milk and cereal, as it may help boost levels of serotonin. Keep in touch with your doctor and always follow their advice when trying to manage your migraines and sleep disorders.